http://www.librium.tv/ is, we think, one of the better laid out, more easily read web sites in the Digital Out of Home sector and even though must of it is in Dutch it is well worth a good flick through. 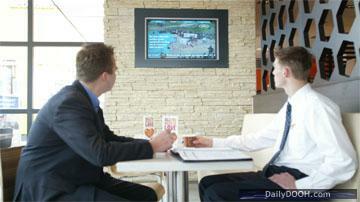 This entry was posted on Wednesday, March 26th, 2008 at 07:57 @373 and is filed under DailyDOOH Update. You can follow any responses to this entry through the RSS 2.0 feed. You can leave a response, or trackback from your own site.